Grilla Grills got its beginning when co-founders Mark Graham and Dave Shidler were on a fishing trip and pondered why virtually all pellet grills had the same design. That started the two—one an industrial designer and the other a metal smith—on a journey that led to the creation of the Grilla pellet grill, which then continued to a larger pellet grill (Silverbac), and a kamado cooker (Kong). 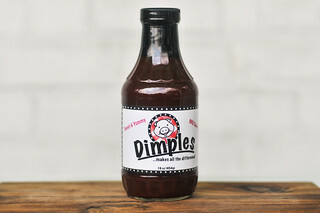 The pair have expanded their barbecue business this year by adding both a sauce and rub developed with help by pitmaster Shane Draper. Although new to the Grilla line-up, the sauce already fetched an impressive second place at Memphis in May in 2017 and the Grilla Grills team achieved a 9th place in whole hog. An initial whiff of this sauce bring a strong, tangy molasses aroma with a deep tomato base sitting right behind. There's a mellow smokiness that permeates through all the other smells, which includes oniony notes and a background earthy pepper. That pepper hints at a possible heat, but the main aromatic profile of the sauce is sweet. This dark maroon sauce has a mostly smooth texture with a glossy sheen. While it's opaque, it's not hard to see the tons of small spice specs throughout that come in black, white and red. It has a medium-thin consistancy that has the sauce falling in a quick, steady pour off a suspended spoon. After the sauce slows to a few drips, then ceases releasing, the silverware is left with a medium coating of sauce clinging to it. First taste of the sauce brings a balanced sweet and tart profile. In the initial seconds the sauce settles on the tongue, a tomato and molasses mixture quickly adds a lot of depth of flavor to the sugar and vinegar. Next, the spices start to make themselves known with background notes of earthy pepper and sharp onion and garlic. At this point, the vinegar becomes more dominant, a smokiness is introduced, and a mild heat comes into play. This creates a final aftertaste that's a balance of sweet molasses, vinegar tang, and peppery heat. The sauce coated the chicken in an even, medium layer that backed down well over indirect heat. When moved over the fire, there was a little burn off and light caramelization. The flavor of the sauce became fully realized after being cooked—it had an outstanding balance and robustness that provided full flavor, but not so strong that it overpowered the meat entirely. While sugar and vinegar were more in the forefront out of the jar, once cooked, those both mellowed a bit and became equals with the tomato, molasses, and smoke. This mellowing also allowed the spices to come into play more, especially after multiple bites, where a nice heat built up. When I first popped open this sauce and took a taste, I gave an approving head nod at the representation and nice progression of the standard barbecue sauce flavors. I could see myself putting this sauce on my burgers or even dipping some steak or fries into, but then after cooking it, I was pretty blown away. 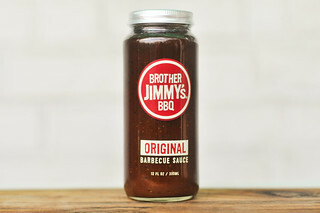 What I felt was a fairly typical sauce became extraordinarily well balanced and achieved the difficult proposition of imparting a strong barbecue profile without drowning out the flavor of the meat itself. 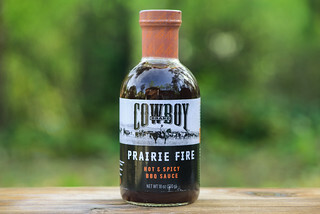 I can imagine this would make this sauce great in just about any grilled or smoked cooking application, especially barbecue chicken, ribs, brisket, and pork. It feels like it was designed to impress on those barbecue competition standards, but also made to be equally pleasing in backyard applications, which is an achievement unto itself. So I kind of loved this sauce, and I'm sure you all would too. So I'm so happy that Grilla Grills sent a second bottle to giveaway! If you want a chance to win the bottle, all you have to do it comment on this post with what you're planning to slather Grilla Grills Thick & Bold BBQ Sauce on in your backyard. Deadline for entries is 11:59pm on Tuesday August 15, 2017. Read the official rules for more details. One entry only per individual. Good luck! I'd put it on everything, but would love to try something different, like the base sauce for pizza made on my grill. Fantastic review and I'm so glad everything I was trying to do with the Thick and Bold sauce you were able to pick up on. SPOT ON review. Great job! Every sauce I do is about balancing various notes and not letting one profile outshine any other. I think that is what most sauces lack. When its done right you can taste something a little different every time you take a bite without your tastebuds getting overworked or completely overshadowing the meat. Sometimes that subtleness gets lots with some reviewers, but you definitely understand what I was aiming for. I've tried it one of my favorites ! I would put it on as many spatchcock chickens as a bottle would cover ! Definitely put that on some juicy spare ribs! Love this sauce on Baby Backs! 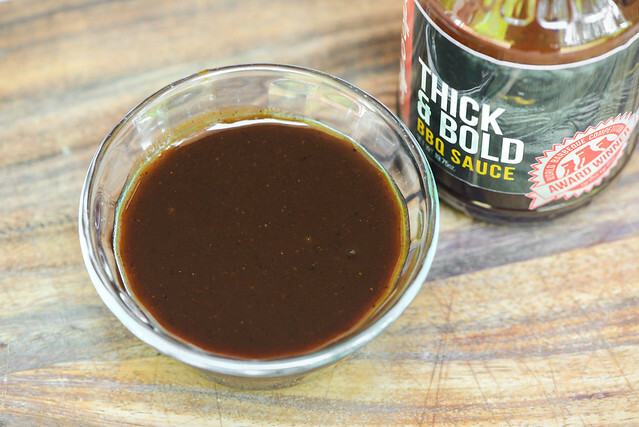 I would slather and later all the ribs I could with this delicious Thick and Bold sauce. 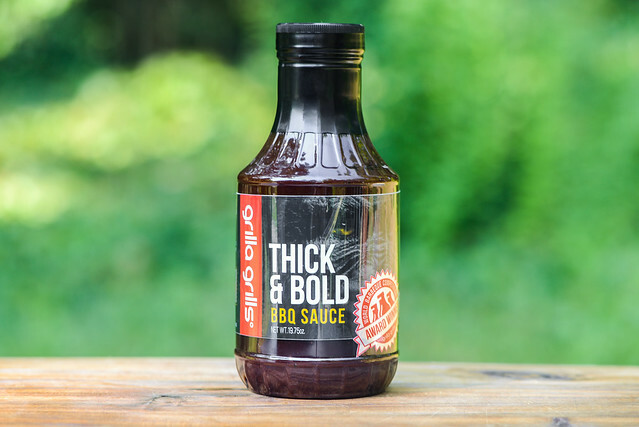 My Grilla loves to cook anything with Thick and Bold sauce on it. I'll use it on some chicken cooked in my Silverbac! I would like to finish off my cooks on my Grilla. It should go good on chichen quarters, pork chops, ribs, and maybe a tri-tip. I would slather it on some ribs! I would put this on my slow cooked ribs an brisket at the next cook off we do at work. I believe this sauce would give me the edge over the 26 other cooks. 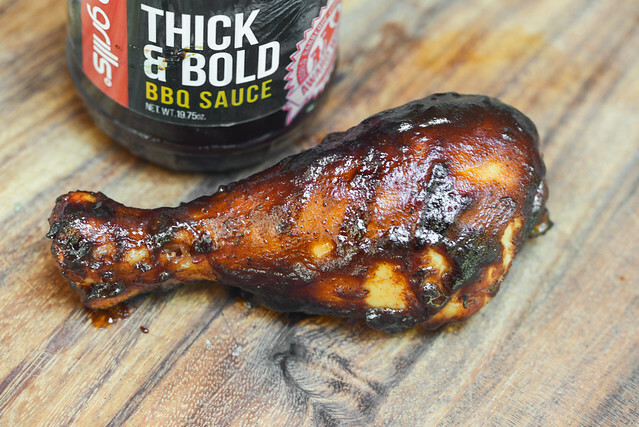 We love all the GG products in our house, and use the sauce and rub to encourage our fussy eater (8 year old daughter) to try new barbecue meats. I would love a bottle to go with dinosaur bones (meaty beef ribs)! I'd Love to try this sauce on boneless skinless chicken thighs and some baby backs!!!! Never used this sauce before, so would be excited to be licking my fingers and chops off. Finger licking good!!!!!! Ribs and smoked, then fried wings! I like BBQ sauce on my burgers. I'm planning to slather it on ribs! YUM. Amazing description of sauce. Makes me hungry just reading it. Have not come across a good bbq sauce. This looks like it covers all areas of texture, appearance, taste and then some. would love to try this out for sure.